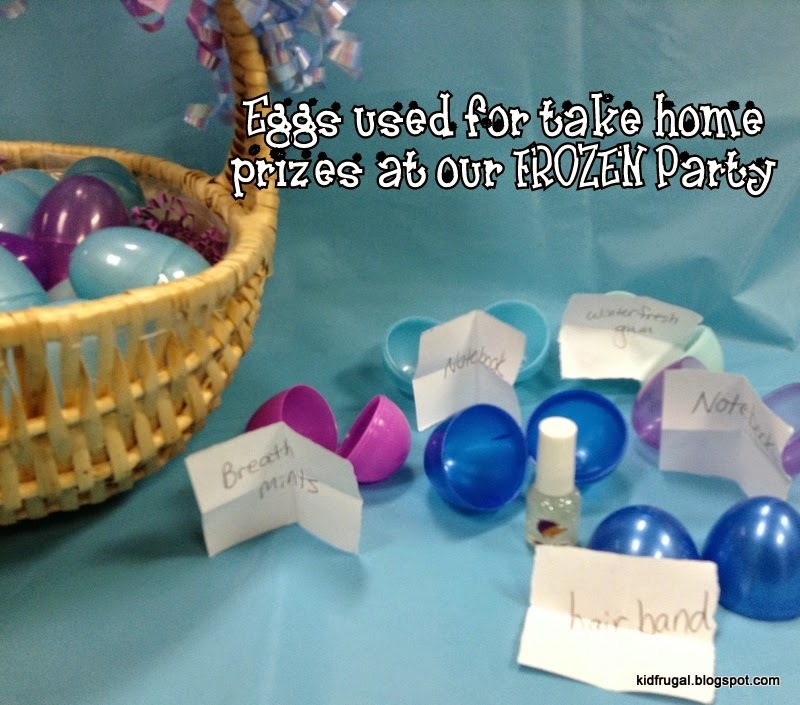 Kidfrugal: Do You Want to Have a Frozen Party? Do you want to have a party? · We turned a whole wall into a snow scene just by covering the wall in black paper and adding Cricut made snowflakes. Someone found a poster of Olaf, and we cut him out and mounted him. I love the letters my coworker made on her Cricut. · If you don’t have access to a Cricut, you are missing out on one of the greatest money-savers in children’s ministry. They can give you professional lettering for signs, banners and all sorts of things for starters. Of course the Cricut itself costs a lot of money, but it pays for itself over time. 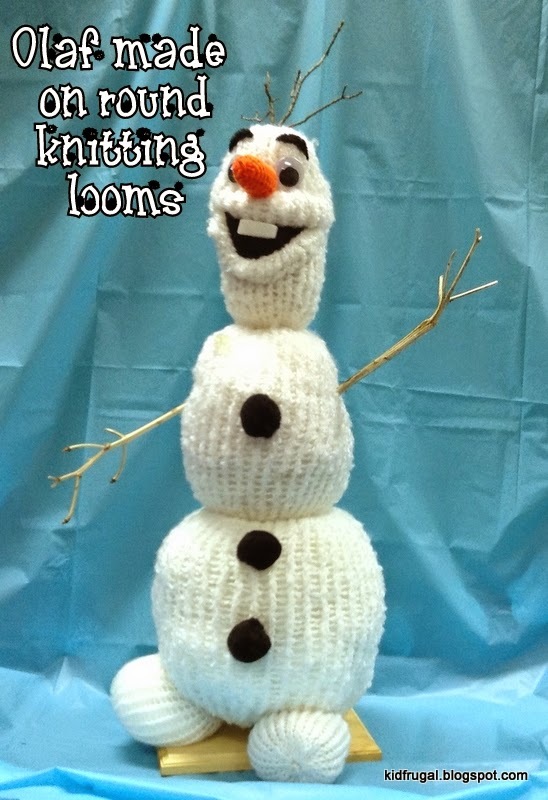 · One of the crowning pieces of our party was this 3-D Olaf my coworker made using round knitting looms. How clever! This idea was original to her. The kids could have their picture taken with him. We hung plastic tablecloths from a suspension rod for the backdrop. · We made a great punch using Kool-Aid blue raspberry lemonade and pineapple sherbet. We made “snowballs” with the sherbet and floated them in the punch which we served with snowflake sugar cookies. 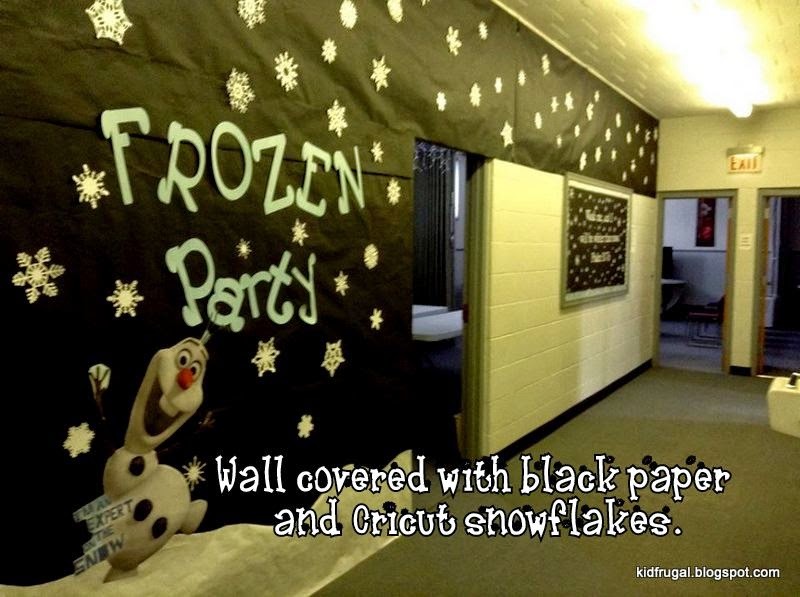 · There are tons of ideas on Pinterest for Frozen themed games. We did games with “snowballs” (use pom poms, waded white socks, crumpled wads of paper or anything white that will not hurt when thrown). · Olaf bank. Someone donated cardboard banks to us. We have an auto body guy in our church who matched the color for us and spray painted all of the boxes. Then the kids glued on pre-cut felt “Olaf” pieces. Patterns for pieces are on the Just Between Friends blog. 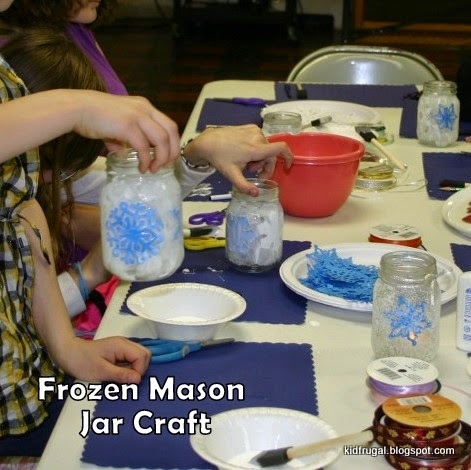 Mason Jar luminaries - children "frosted" Mason Jars with salt and glue to look like they were frozen. Then they added die-cut foam snowflakes and battery operated tea lights. We simplified the craft, the original instructions is found on my Frozen Pinterest Board. · The Bible story featured Olaf’s classic line, “True love is when you put someone else’s needs before your own.” Children learned about the greatest story of true love, Jesus’s love for them when he sacrificed his own life at Easter. I got some inspiration for the talk at this website. 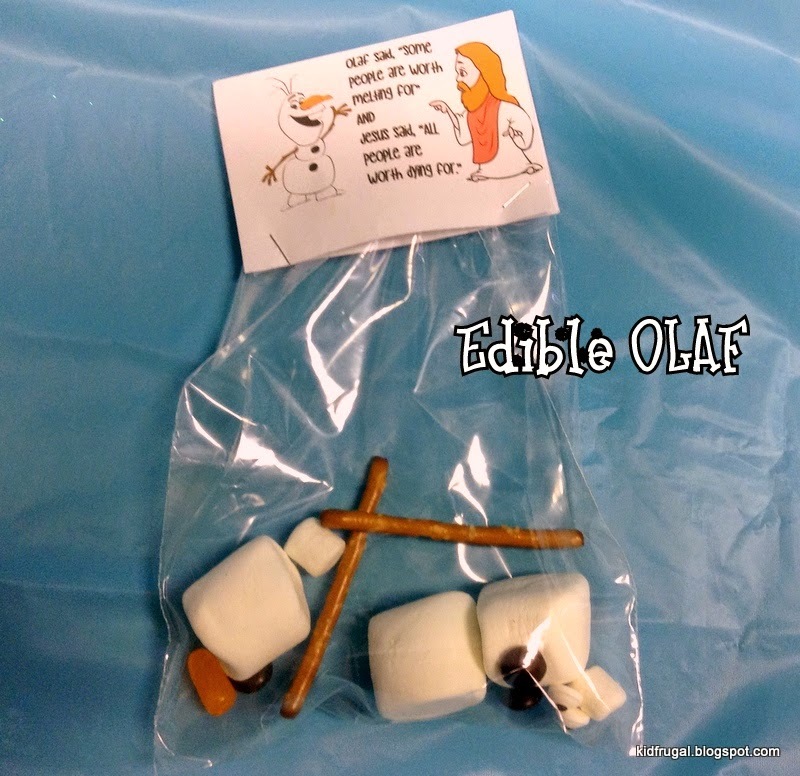 · A bag with an edible Olaf in it with a topper that said, “Olaf said, ‘Some people are worth melting for’ AND Jesus said, ‘All people are worth dying for.’” PDF file for bag topper. · For the second take home we had a basket filled with plastic Easter eggs in colors related to Frozen. Each egg had a slip of paper in it with a prize written on it. After they picked and opened an egg, they got to take the prize they won from another basket. The prizes were even purple, aqua and shades of blue to match the party. · Children also got to take home the pictures they had taken with Olaf when they arrived. There are even more great party ideas out there since we did ours. Check out my Frozen Pinterest board for some. I hope others can put on a nice event like this for children who don’t get to do special things on their breaks. And what a great opportunity to share the love and message of the Jesus with kids! 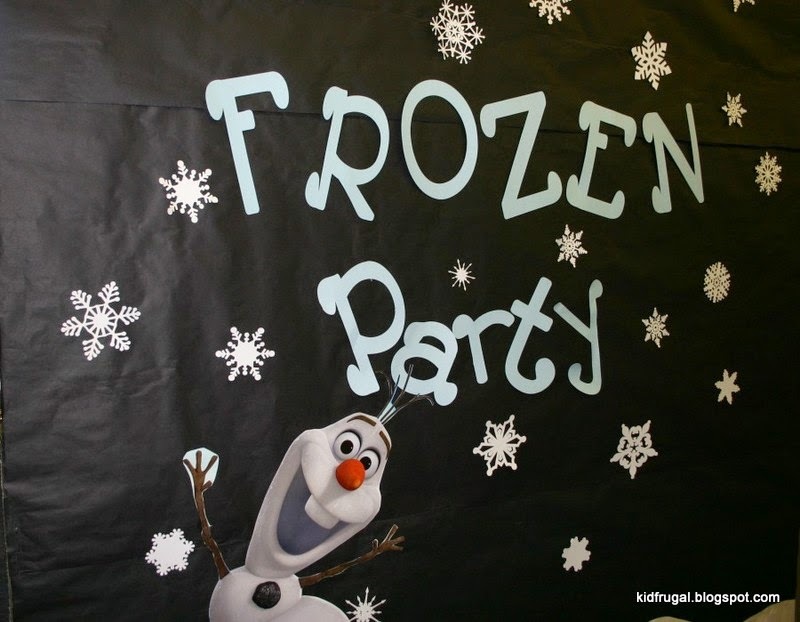 Check out my Kid's Events - Frozen Party board for more great ideas.